When your child first learns to read it's easy to become excited about all of the books you can share with them, but some children take longer than others to become confident readers. 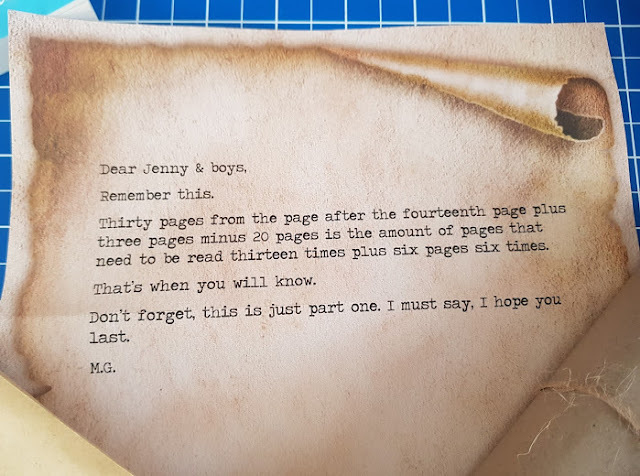 It can easily be a couple of years before you move from books which are mainly illustration with a few words on each page, through to big books with pages entirely full of text. While one of my younger boys leapt off into the world of books, his younger brother just hasn't had that confidence. 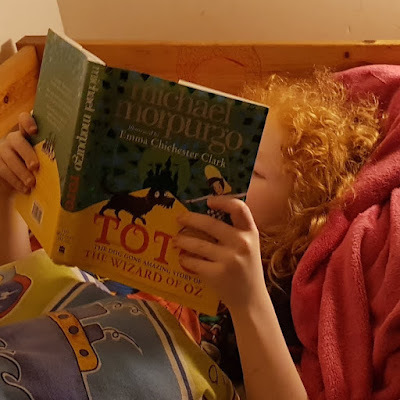 I've put together a few ideas for anyone who wants to encourage their children through this stage and build their skills and speed without making reading become a chore. Where Peacocks Scream is a thrilling book aimed at children aged around 9+. 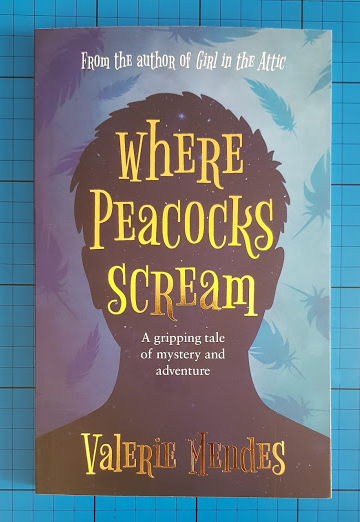 A more grown up read, reminiscent of children's stories written when our Grandparents were children, it'll suit confident readers who like their tales with a lot of mystery and a degree of peril. Our main character is 12 year old Daniel, who lives in a Pub named The Riverside. He has free run of the grounds, including a large island that is mainly overgrown and unused. Most of his free time is spent sculling (an unfamiliar term to my children) and looking after the boats at the local boatyard. His life is turned upside down by the arrival of a stranger at The Riverside - one who very quickly outstays his welcome and proves to be unlucky for everyone. Our latest toy review is something we are very familiar with - Hexbugs! These have been popular here for a good few years now and the Hexbug Nano Space range is something we saw at Digital Kids Show and loved, so we were more than happy to accept a Discovery Station set for review. Inside the box everything is wrapped in plastic packages. I understand that it is easily scratched and needs to be protected, but I'd like to see less plastic and more recyclable card. This is a 55 piece set and there seem to be absolutely loads of pieces, it's very impressive. Happy Garyversary - 2 Years! Staggeringly it's exactly 2 years since Gary turned up on my doorstep, howling and terrified and unable to pee, but we gloss over that nowadays. I've discovered a lot about cats in the last 2 years, or maybe it's just Gary, I have no idea and never intend to. 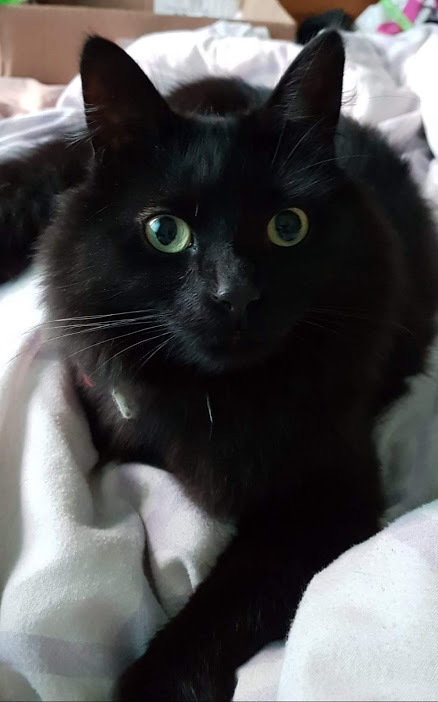 As it's his Garyversary, and the internet saved my cat, I thought I'd share what I've learnt. 1. Cats can sleep anywhere. Gary has his luxury Amazon Prime Cat bed at the end of our bed, and a smaĺler, cosier box on the floor for when he doesn't want to risk being kicked in the head at night. He will however sleep anywhere. Window ledge, under the bed, on a cushion, clothes line, bag of marbles, IN the LEGO box. Whatever cats are made of, it's some sort of pain resistant cloud magic in a loose bag, and if we can harness it then we can be pain-free millionaires. Forget Tesla, this is where the real future lies. I've used property locator devices in the past, but they've never been ideal. 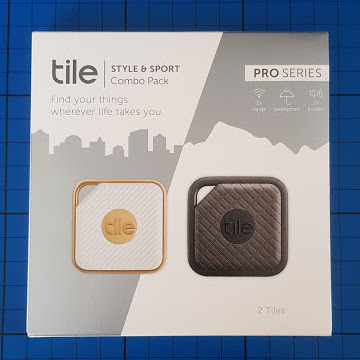 Tile is a really gorgeous bluetooth fob with a minimum guaranteed 1 year battery life and it is supported by the world's most popular Bluetooth tracking app. You can attach the fob to keys, toys, cats, bags or anything else you might lose. More than that, if you can't find your phone, you can even use your tile to find that. Utterly gorgeous, you know you have something carefully designed before you even open the box. I'm reviewing the Pro Style & Sport double pack, which has one each of white/gold Style Tile and black/grey Sport Tile. You download the app. and pair the Tile to your mobile phone. Give it a name, category, even a photo if you wish. Lose the Tile and you can ask your phone where it is, or where it was last spotted by anyone using the app. If I can't find my phone, I can call it by double pressing the button on my Tile, even if it's on silent. Children And Mobile Phones - Decreasing the risks with R2L. 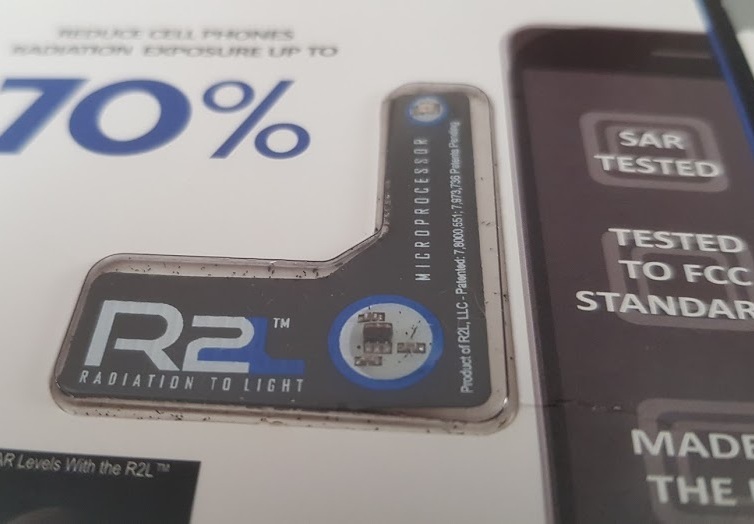 An R2L is a small, rubber, sticky-backed device, which can be fitted to the rear of any smartphone, laptop or tablet. It can even fit inside most cases. It's innocuous and you'd barely notice it, but tests show it can remove 70% of the radiation produced in normal use by phones and 3/4G enabled devices, thereby preventing it from entering the user's body. Ever since mobile phones were first introduced to the public we've been aware that they produce radiation and discharge it into their environment, and unfortunately that's often the skull and brain of the person using the phone. Despite massive improvement over the last 30 years, current advice is still that mobile phones should be avoided in children under 10 years old, because youngsters have thinner skulls and more of this unused power can seep into their brain. The World Health Organisation places mobile phone radiation in the same cancer risk category as lead, car engine exhaust or chloroform. Last week I was contacted by Pickled Image and asked if we wanted to review their performance of Yana And The Yeti at The Met Theatre in Bury, North Manchester. A family show with no spoken English and with a storyline almost entirely acted using puppetry, it was one of the most beautiful and serene performances I've ever had the pleasure to attend. We're very familiar with The Met and this was the first time we've visited since the refit. It's an intimate, smaller theatre which is very friendly and has it's own bar, plus Automatic bar and restaurant next door. 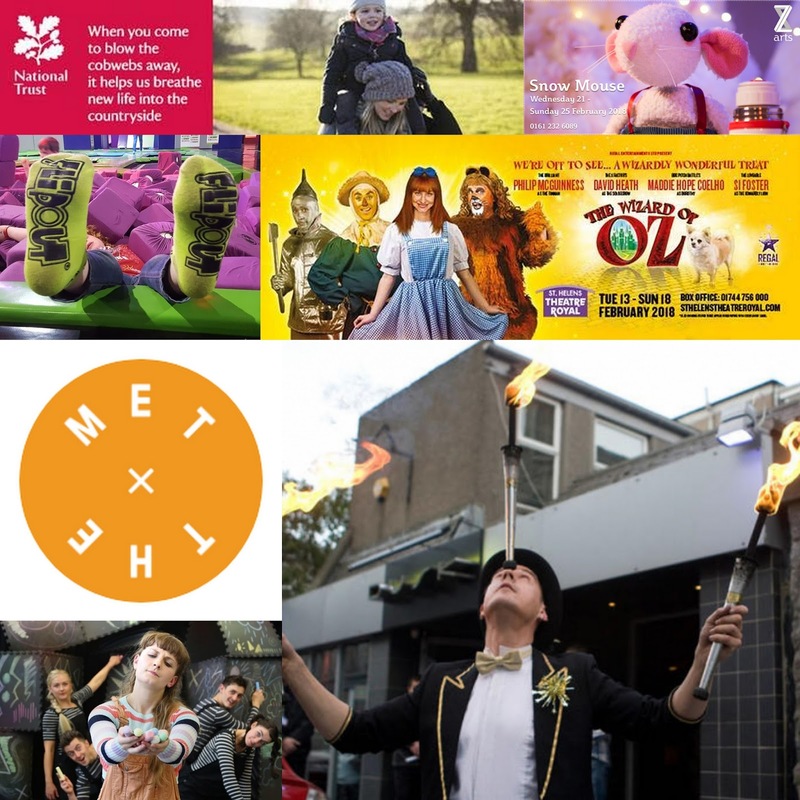 Pickled Image create family shows and Yana And The Yeti was suitable for age 5+. Ideal for my 7 and 9 year old boys. The stage set was a movable, raised miniature snowy landscape that really was gorgeous, and beside it, also raised, two smaller snowy tables. Behind, projected onto the backdrop a huge snow covered mountain. When the actors/puppeteers came onto the stage, they took position and my 9 year old gasped aloud as he realised that what was being played out in close up larger scale on the snowy tabletops, was also being shown in miniature in the landscape scene on the left. 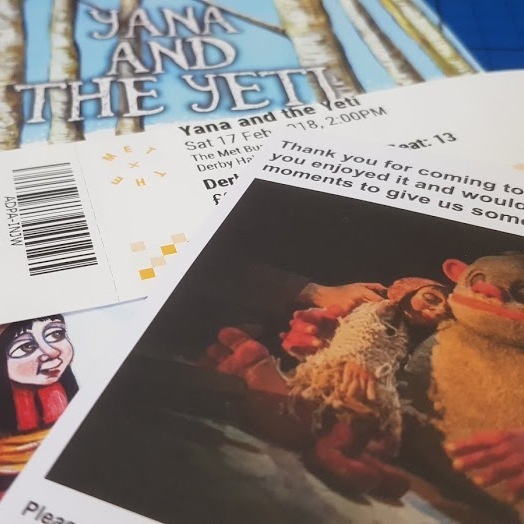 Yana And The Yeti really was just jaw-droppingly beautiful. What better for a Sunday morning than a swift game of 'Where's The Ninja'? 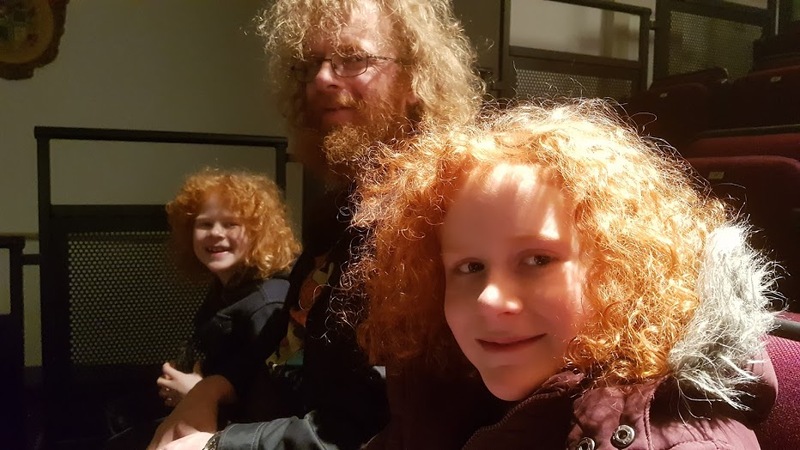 We were guests of Warner Bros at LEGOLAND Discovery Centre last Thursday evening for a special event to promote the release of The LEGO Ninjago Movie on DVD and Digital Download, and my partner saw his opportunity to have a bit of a photobomb chuckle. This is really not hard, but as with all good 'spot the character' puzzles, the answers are upside down at the bottom of the page. If you are using a desktop PC, I'd suggest turning your head rather than the screen... no cheating now! 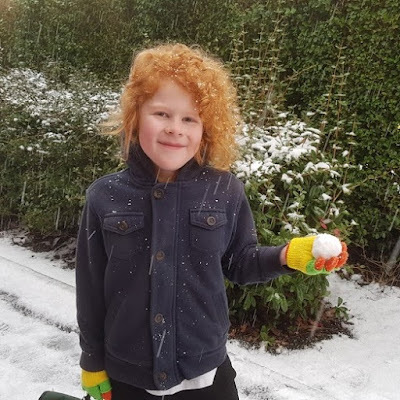 This month has been a pretty rough one for us, I know a lot of people are tired and worn out and we are all ready for Spring - although I really wouldn't complain about a few days of proper snow that the kids can play with. We seem to have had a month of drizzle and sleet and overnight snow that's vanished by morning. Even worse we had a day of snow that was all gone by 3.30pm - so harsh on the kids in school! Not 20. Not having a birthday, not going out for a drink. Not giggling and opening presents. Not putting on make up and doing your hair. Would you be away at Uni? Would you have a partner, a fling? Would you have a part time job, would you have used some of your birthday money to go out and celebrate? Would you have been grabbing everything life had to offer you and grinning that huge smile? 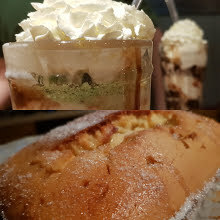 Would you have complained that sundae isn't technically cake, and made sure we had another later this week? Probably. If your children are anything like mine then they love small rubbery blind bag collectibles, especially when they are a bit gross and horrible. 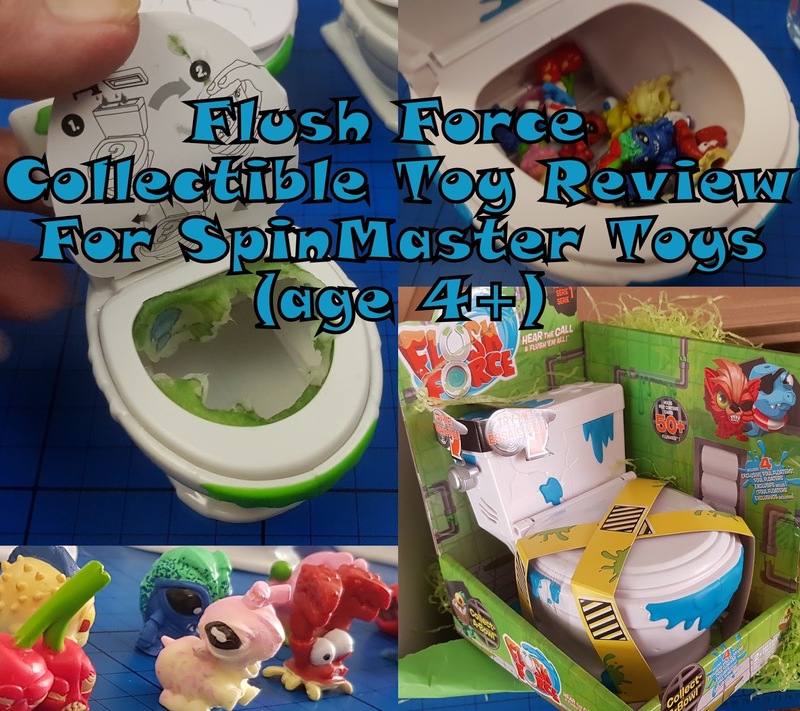 Flush Force fits the bill perfectly, with a collection of 150 different characters who hide in small plastic toilets...and start at £3.49 for a pack of 2. 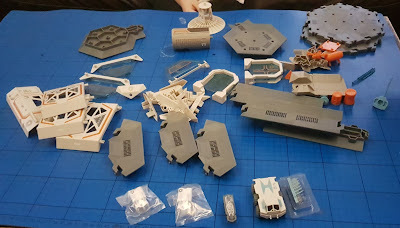 We've been sent a selection of the Series 1 sets to review. 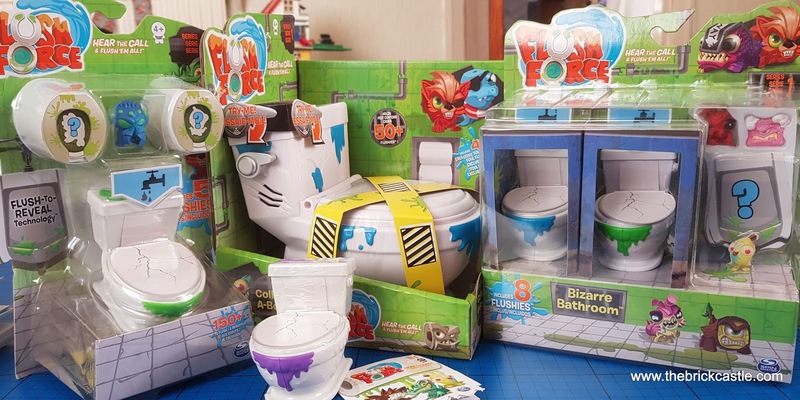 Included in our bundle are the Bizarre Bathroom with 8 Flushies, the Filthy 5-Pack, the Number 2 Pack and the Collect-A-Bowl Stash 'N' Store Case with 4 Flushies. Probably the most famous shipwreck tale of all time, the story of the Titanic is fascinating to adults and children alike. 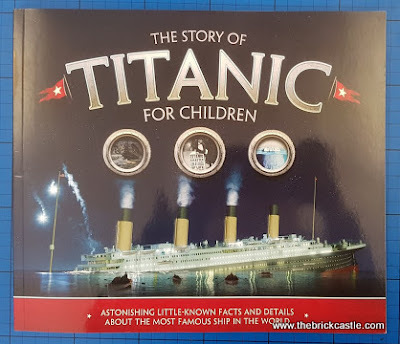 The Story Of Titanic For Children by Joe Fullman is an excellent factual book which my 9 year old has poured over since it arrived. This is a beautiful book and it's full of gorgeous illustrations and photographs. It is honest, but doesn't glorify or overplay any of the tragedies which happened when the Titanic sank. It is full of fascinating details and facts, as well as personal accounts and even sketches drawn by survivors. 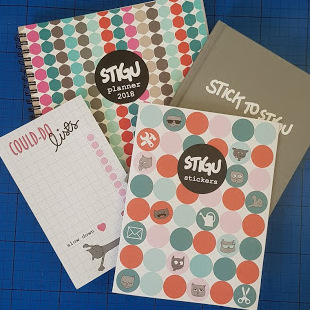 Stigu Review - Organised Stationery for disorganised people! If you are anything like me, it was around 3rd January when you realised you hadn't even got a calendar, let alone anything sensible to keep a diary in! My daughter loved the Stigu planner I got from BlogOn last year and had bought herself another this year, so I was more than happy to review for them. 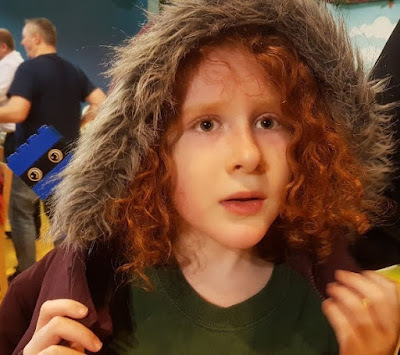 It's easy for me to feel bitter and angry about the state of Children's Mental Health services in this country at the moment. I have every reason to believe it's a failing system that is understaffed, underfunded and consequently takes a long time to access and for any action to be implemented. 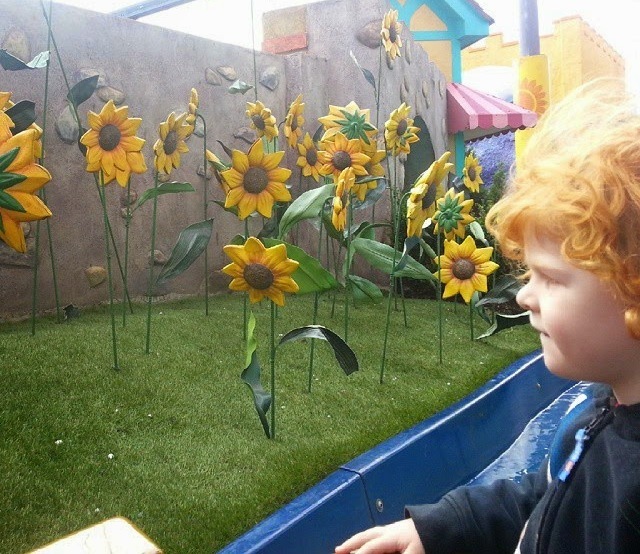 Last October the Care Quality Commission published a phase one report on children's mental health services. The full review and recommendations will be published next month. They've already found that because many different agencies can be involved, access to CAMHS and other services can be difficult and incredibly time-consuming. I could have told you that. So probably could anyone who has ever wanted to access CAMHS services. Over the past 4 years we've learned far more about children's mental health services than we ever would have believed. Our family has been given an immense amount of help, for which I am eternally grateful. We had extreme circumstances and jumped to the top of the queues at first, and in the subsequent months we've had to wait patiently with everyone else and at times watch our young people deteriorate, completely impotent and unable to pull them out by ourselves. We've seen the holes in the service, the lack of knowledge-sharing, the time-pressure, the wrangling for financing from different departments in order to make things happen, and the waiting for red tape and meetings to sign off plans and be able to move forward. I cannot fault any of the professionals we've met. I don't have a bad word to say about any of them because they were every bit as frustrated as we were. Their job often seems more about admin and knowing who to speak to than it is about clinical care and spending time with the people who need it. 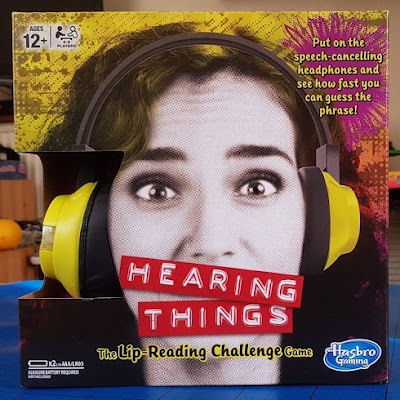 Hearing Things is a great party game from Hasbro that can be played really quietly! It's very different to other games we have, and loads of fun. It's also one that can create some risque answers so, unless you can be very careful with what you say, best for older players. Packaging is entirely card and inside the box you have the headphones and pack of 150 Phrase Cards, as well as instructions. You'll need 2 x AAA batteries to power the headphones, and learning the rules could hardly be quicker. Movie Night with The LEGO Ninjago Movie (out now on digital download). The LEGO Ninjago Movie was released on Digital Download on January 30th and we were among the first people to watch it in the comfort of our own home. We had already seen the movie in the cinema, but everyone wanted to watch it again and we were sent a bundle of goodies by Warner Bros to make a movie night of it! We are big fans of the LEGO movies and we have really enjoyed them all. Ninjago is a LEGO theme with your traditional ninjas and dragons mixed with amazing technology and mechanics. It's an excellent theme and Ninjago are the most played with LEGO sets here. 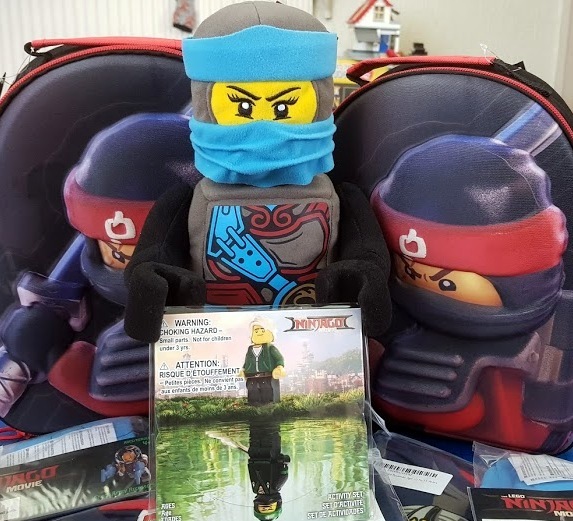 There is also a Ninjago TV show, as well as books and of course the 4D cinema and Ninjago City Adventure play area at LEGOLAND Discovery Centre. We are in very familiar territory and even I know all the names of the characters. 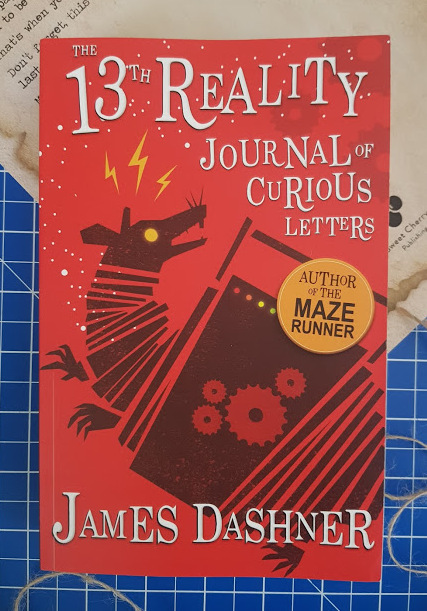 The first UK publication of 13th Reality: Journal Of Curious Letters by James Dashner, author of The Maze Runner, will be released by Sweet Cherry Publishing next week and we were lucky enough to be given an advance copy to review. This is a book full of intrigue and mystery, as we join Tick Higginbottom and try to work out 'what on Earth is going on?'. The Nerf N-Strike Elite SurgeFire is a great manually powered blaster with the option of single shot or slam fire. 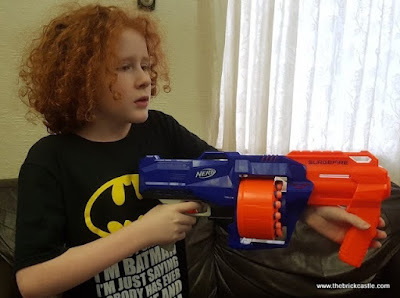 It has full Nerf power, a rotating 15 dart cartridge and great accuracy. Three of us were excited about opening this one and none of us were disappointed. 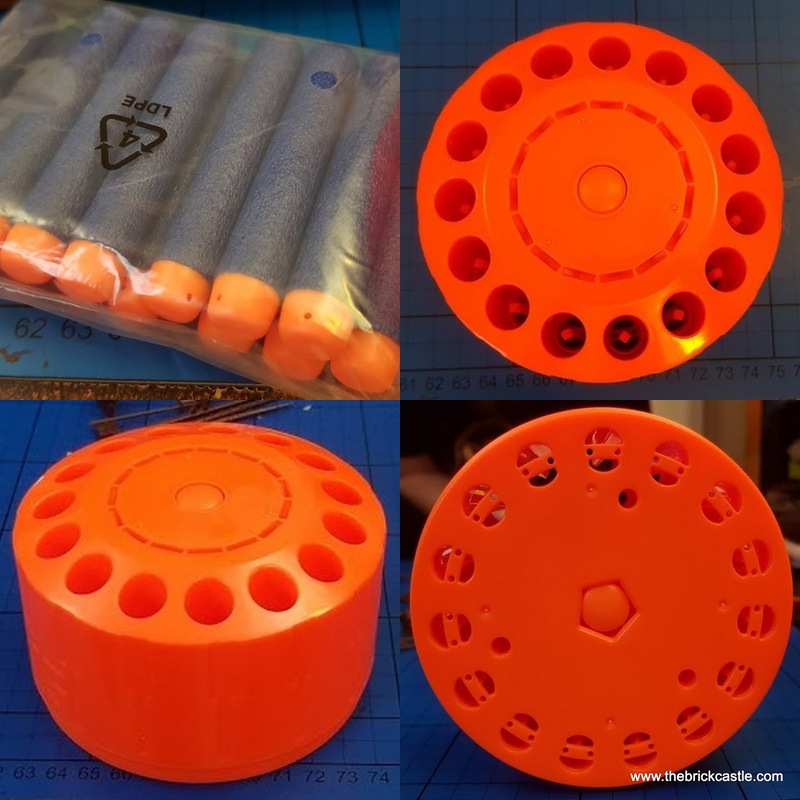 There is minimal assembly required because you have to fit the 15 dart rotating drum - which just slots in until it clicks and then can't be removed. 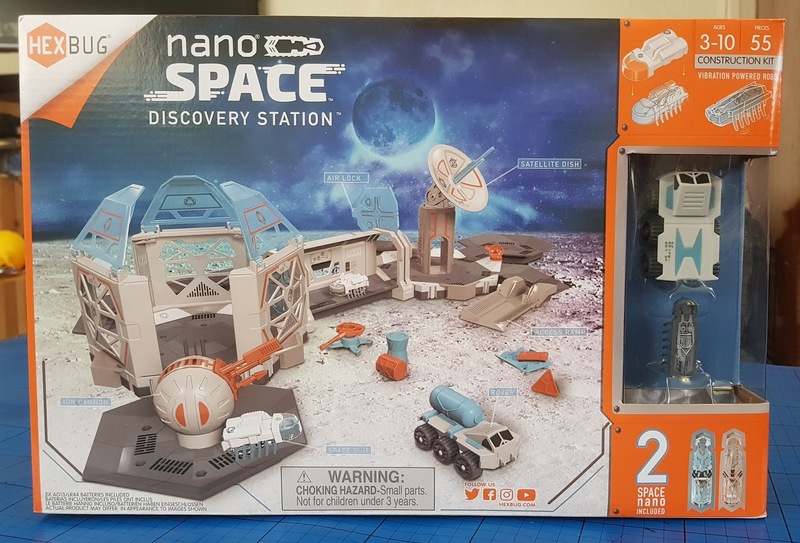 The box is cardboard and simple to open, there are no batteries and you can be playing with your blaster in seconds - Christmas morning friendly. 15 of the Elite Darts are included - a good amount for a battle and it's quick to reload, although the design means you can only insert 14 darts without rotating the cartridge. The SurgeFire has a range of 27m - we haven't tested that, but it seems true and is plenty for a good battle. For such a big and clunky blaster it's incredibly accurate, even over fair distance - we've all had been pleased with that. Power is by pump-action and you can choose to use the trigger for single shots or just keep pumping the barrel for slam fire. The drum rotates automatically after each shot. It's almost impossible to get any darts stuck inside the barrel, another impressive design feature to prevent frustration. This is a large blaster, but not massive and it's pretty light because there are no batteries or motors. The pump-action doesn't require a lot of hand and arm strength, so it's a great one for younger Nerf fans aged 8+. This is an excellent blaster which offers beginners and experts plenty of fun and really won't disappoint anyone. At only £24.99 rrp it is excellent value and a lot of Nerf for your money. Available now from all good toy shops in store and online, including Smyths. 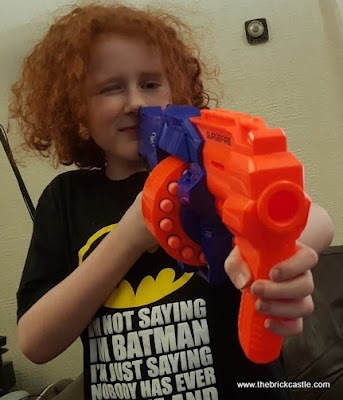 We were sent our Nerft SurgeFire blaster for review as part of our role in the Hasbro Toy Tribe and we are encouraged to review honestly.